In the practice of medicine over these many years you come to realize the importance of not just good sleep but “healing” rest and sleep. When I was a child growing up my mother had purchased a feather pillow for me which was wonderful to lay my head on. However throughout my grade school years I had chronic respiratory infections. Finally one day our family physician advised my mother to get me a different pillow. The relief was dramatic, I had no idea what that pillow had been doing to me leading me to understand although it may have been comfortable it was contributing to my “allergies”. After that I would purchase cheap foam pillows and throw them on the bed. They were not that comfortable but I had no more infections (allergic) as I did in my childhood. When I went to college I had the unfortunate experience of sustaining a neck injury which required my neck to be fused. Once again I was in the market for the right pillow for me. My personal need and those of my patients inspired me to contribute to creating the Silverite pillow. Therefore putting all the elements together which I had learned that are critical in an individuals ultimate health. The design of this pillow was created as close to the pillow of our youth as possible with all the critical materials for essential rest without the toxicity. “The Silverite pillow is as comfortable as a feathered pillow and it can be tailored” to the comfort of your neck. With my long time respect of the element silver it is added to the pillow to give you the ultimate in sleeping comfort plus protection. The antimicrobial properties of silver are being put into numerous everyday products as it’s highly regarded for its benefits. 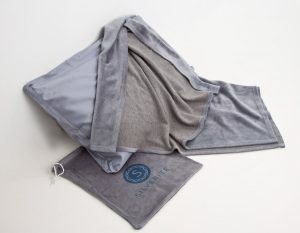 Our Silverite pillow is free from the chemicals and toxins that are found in many pillows today. I am proud to be part of the Silverite movement, which assists people in obtaining the most restful, peaceful sleep every single night. I invite you experience this unique and breakthrough pillow! “As a healthcare professional ‘your‘ care is not taken lightly”. “What we know now in medicine doubles every two weeks. Medicine has seen a phenomenal growth in this new century. Part of that growth is understanding how those things in our environment can effect our health and well-being. 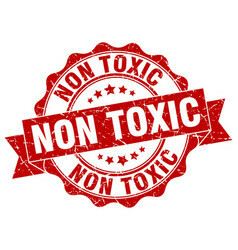 Investigations into many areas have led to cautions and bans on many commonly used products. We know that cancer is seen in ever increasing numbers. In years past, many pillows were prepared with feathers or down or other animal based fillers. We have over the years come to understand the effects of animal dander on the allergic sensitivities of people. It can have mild to drastic effects, and when your respiratory system is chronically exposed there can far reaching complications into almost every aspect of ones life. We also are increasingly aware of the effects of foam that many pillows now have. The many uses of silver have been known for years. We think of it in silverware and as a metal used in conducting electricity. In years gone by it was also used to stop the growth of microbes. During the Civil War if water could not be transported in silver vessels often silver coins were place in water containers to stop contamination. More recently it has made a resurgence in bathrooms and kitchens where it is incorporated in tubs and countertops. This new era pillow embraces not only the new age of a toxic free and comfortable sleep, but also an age old secret of maintaining a healthy sleep environment using silver to protect our sleep. If any of you have ever had a cold or other respiratory tract infection you know how much exposure your pillow gets to this infection. If more than one person or even a pet is near the pillow you can imagine the ill effects of this. Microbes can survive a long time inside of a pillow. 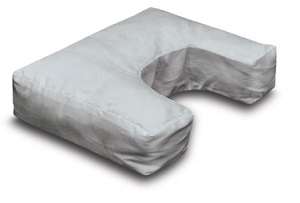 This pillow has been designed to maximize the effects of silver and its antimicrobial properties. It comes with a nice case to carry it in so the hotel pillow doesn’t need to be a concern anymore. Enjoy the most comfortable and healthiest rest possible. We have come to understand during this last decade the overwhelming importance of proper sleep habits. Poor head or neck positioning can lead to stroke and multiple musculoskeletal and neurological issues. 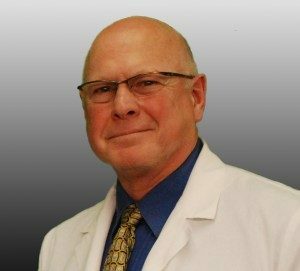 Sleep apnea is known to have devastating results if not addressed and appropriately treated. 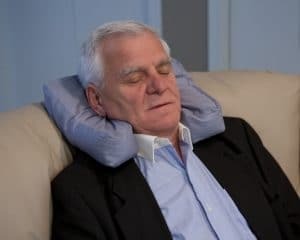 This pillow has been designed that each individual can tailor fit their pillow or have their Chiropractor/Healthcare assist with the proper positioning to minimize the drastic affects of sleep apnea. Poor cervical positioning can lead to chronic neck pain and headaches and once again this pillow is designed to address those concerns. When I went to college I had the unfortunate experience of sustaining a neck injury which required my neck to be fused. Once again I was in the market for “the right pillow”. My personal need and those of my patients inspired me to create the “perfect” pillow. Therefore putting all the elements together which I had learned that are critical in an individuals ultimate health. The design of this pillow was created as close to the pillow of our youth as possible with all the critical materials for essential rest without the toxicity. “This healthy pillow is as comfortable as a feathered pillow and it can be tailored” to the comfort of your neck. With my long time respect of the element silver it is added to the pillow to give you the ultimate in sleeping comfort plus protection. 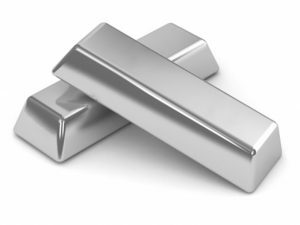 The antimicrobial properties of silver are being put into numerous everyday products as it’s highly regarded for its benefits. This pillow is also “lacking” the usual chemicals and toxins that are in many of our pillows today. It is my desire and goal to offer the ultimate pillow which will assist in one obtaining the most restful, peaceful sleep every single night. I invite you experience this unique and breakthrough pillow.